We all have our own goals when it comes to dieting. For some people it is to lose weight, for others is to improve their overall health. Some people might question the paleo diet and benefits it provides. However, there are so many testimonials of people who choose to stay on the paleo diet not because they want to lose more weight, but because they feel better and healthier following the diet. The paleo diet and benefits it provides are countless. What is your goal regarding your health or the way you look? Would you like to lose some weight and get ready for the beach season? Or would you like to feel more energetic? Or would you like to have your skin smooth and shine? Or would you like to visit your doctor less often? Let’s see how the paleo diet can help you with setting your goals and reaching them. 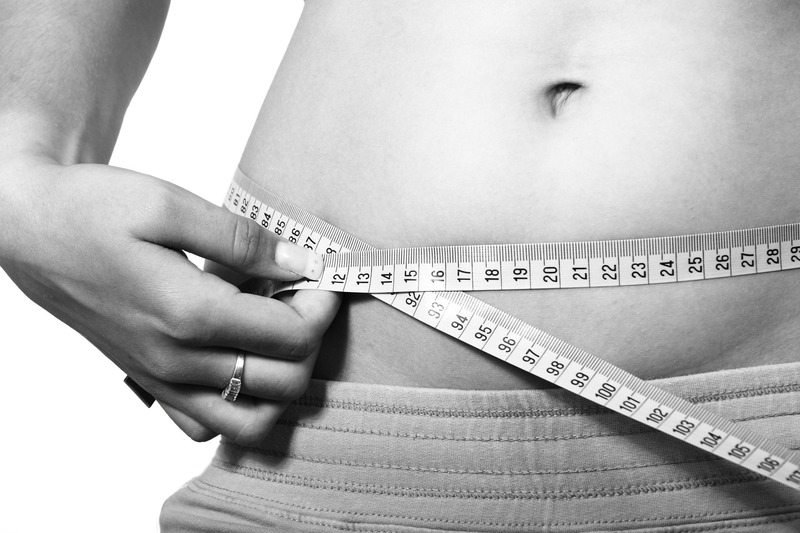 Are you looking to lose extra weight before summer? Or maybe you set yourself a goal for the new year to get stronger and fitter. You can reach these goals following the paleo diet. Moreover, the paleo diet is so effective in weight loss that you will see changes happening within the first weeks (1). Yes, that is right, within the first weeks. For maximum results, it is recommended to stick to the diet at least 4 weeks and up to 8 weeks. After 8 weeks the plateau effect usually kicks in. So if you have been on the diet for 8 weeks, but still want to lose more, take a break for a week or two (though try to eat as much close to the paleo diet as possible) and then start the second round and so on, until you reach the final goal. Did you know that 80% of fat loss belongs to the proper diet and only 20% to exercises? And it is not just numbers, it is the reality. Eliminate the food that makes our bodies store fat and you will see a fit and lean body in the mirror. The paleo diet principles will definitely serve the purpose of the weight loss. Why? Because the paleo diet eliminates all processed foods that definitely do not make us slimmer. Did you know that the ability to fight diseases begins in the gut? All processed foods, gluten, sugars and sweeteners that we got used to eating in a big variety are the main cause of inflammation and irritation. Legumes cause inflammation too because nutritionally it contains more carbohydrates than protein. And when you gut is constantly irritated, it sets the stage for immune conditions and disrupted immune function. By eliminating foods that cause inflammation and irritation, we are helping our gut to heal and promote overall health. I know that a lot of people thinks that the paleo diet cannot be healthy because it eliminates “all carbs”. And this is a totally wrong statement. The paleo diet eliminates processed foods, grains and unhealthy carbohydrates (like sugar). The body spends a lot of energy to process these types of carbohydrates. Did you know that vegetables and fruits contain not only fiber but also carbohydrates that are easier for our bodies to digest? So do not be afraid to eliminate the foods that do not do any favor for your health. Have you ever noticed that after having a high refined-carbohydrate meal (like pizza, pasta or even rice), you would rather get a nap rather than going back to work or do any other activity? That happens because too many carbohydrates increase your blood sugar too high. Now whenever you are hungry and some people will call it ‘h-angry’, your blood sugar is very low. And you would slap anybody approaching you unless you get something to eat (2). High-refined carbohydrate meal will increase your blood sugar level quite fast but will finish its work by leaving you again with the low blood sugar level. 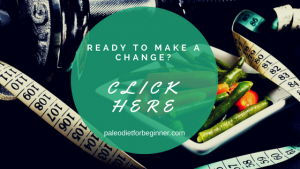 So that blood roller coaster will keep on and on until you find the right nutrients to balance your blood sugar, that you can achieve with the paleo diet. Another thing to consider is that eating processed foods depletes vitamins and minerals and leads to low energy. At the same time, the depletion is happening at a cellular level. Not only are your cells unable to make energy for you, but they also are not able to deplete nutrients like vitamins B and C that your body needs the most. Eliminating processed foods, grains and sugars will not only increase your energy and productivity level but will also help you to avoid certain diseases. The paleo diet will make you feel energetic and think clearly. A lot of people who follows the paleo diet noticed significant changes in their skin within the first couple of weeks. It happens because you clean your body from the inside (including your skin) by correcting your diet and eliminating foods that your body has a hard time to process. Your skin protects your muscles, organs, and bones from the external environment. That 24/7 protection requires renewal and regeneration. So basically your skin constantly goes through a life cycle. The full regeneration cycle is around 6 weeks. However, an average lifespan of skin cells is 2-4 weeks until they die. So once you start adjusting your diet based on the paleo diet principles, you will see skin improvement somewhere between 2-4 weeks. Still Thinking? Just Do it! As you can see the paleo diet has a lot of benefits. It helps you lose extra inches, to feel healthier and more energetic and makes your skin shine. But it is only a small part of benefits that you can achieve following the paleo diet principles. If you would like to have the full spectrum of benefits that the paleo diet can offer, I recommend you to get this book, as it covers every aspect of the paleo diet in great details. What are the goals you would like to achieve with the paleo diet? 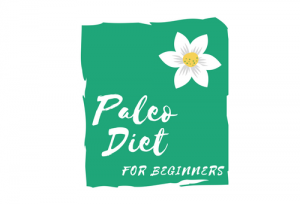 The Paleo Diet Basics benefits of the paleo diet, Paleo diet and benefits, paleo diet and health, paleo diet and weight loss. permalink. I never have tried this certain diet. I will certainly give this some real thought and consideration. I am always trying to think of the best way to lose my weight. I don’t need to lose wait, but I would definately like to improve my skin and get rid of acne once and for all. I might give the paleo diet a try. Thank you for so clearly listing the benefit of this diet. Thank you for your comment! Absolutely, give it a try and you will see positive changes going on within the first week! I have always heard that the reason we get tired after eating is because our body is absorbing the food. One thing I’m really going to try to cut down on is processed foods. The Paleo diet does look interesting. I know I eat a lot of deli meat, though. Would this be against the Paleo diet? Answering your question, it will depend on the nature of the deli meat 🙂 If we talk about bacon, it will be fine. If we talk about bologna, then more likely no, as it will be considered as processed food, unless you do it at home and know what exactly you add to it. Hope it helps! I did not know about Paleo diet, but I like this. This is a great reminder to carefully select the food we eat and the exercise we do every day. Thank you for a great post. Absolutely, careful food selection and exercises will make you feel better and healthier!